The Doomsday Clock may be advancing, but there is still infinite good in the human heart, and peace remains a strong countervailing force. In such a polarized period of our nation’s history (if not world history), it’s easy to lose sight of the basic goodness which resides deep within each human heart. That goodness often expresses itself in loving kindness, and in this sense there is no disagreement between those who explicitly believe in God, and those who are secular humanists. Both camps can agree that there is something noble at the core of human existence. Some will call it a human quality, others will say it is a divine quality. But loving kindness is one of the things we most urgently need right now. We need not agree on its ultimate source. As I approach the evening of my life, I find that I remember many things which others have forgotten. I remember them not by accident, but because they were things which helped me build a sense of meaning in my life, and so I treasured those things and kept them in my heart. With the turning of the generations, and the nature of a market-driven economy, many valuable things are seemingly thrown out, or at least no longer publicized, so that they become for all intent and purposes invisible. They still have tremendous inherent power, but that power is untapped by a later generation which either does not know of them, or does not identify with them. Now, some might think of The Roches as the epitome of Eastern liberal folk-singing types. But in this song they seem to channel the same feeling that one might find in churches across America. “Everyone Is Good” is like a universal folk mass gently proselytizing on behalf of the religion of loving kindness. Activists on the left are not always known for their gentleness, so those lines apply to them too. About two years ago, I commented on how the name “Madonna” has come to mean different things to different people. To some it signifies the mother of Jesus, to others the folk stylings of Joan Baez, while the Googlebot is convinced that anyone who types in “Madonna” must be looking for the brassy pop idol, who recently dropped the f-bomb in her speech at the Women’s March on Washington. There is a time for righteous anger at injustice, and I am no stranger to that emotion — to feeling it and expressing it on my blog. But I also try to be informed by a healing spirit, and an awareness that the deepest truth about human nature is that people are good. When we open our heart to the entire world, we are not safe. The evil and destructive qualities of the world can enter into us and utilise us for their own purposes. They can do so precisely because our love, which is our strength, is very limited; our joy, which is our strength, is very limited; our peace, which is our strength, is very limited. All that we have, we have in very limited measure. But at the same time we have to have confidence in ourselves. Although we are not now measureless and infinite, a day will dawn when we will be measureless, infinite and transcendental. How? By going to the Source, to God. Even though the ignorant world can destroy the lotus in us, that does not mean that we shall have no faith in humanity in general. India’s greatest spiritual politician, Mahatma Gandhi, said something very striking. He said not to lose faith in humanity. We have to take humanity as an ocean. There are a few drops in the ocean that may be dirty, but the entire ocean is not dirty. According to him, we must not judge humanity by the limited experiences we usually get when we associate ourselves with limited persons around us. We have to be careful, but at the same time we have to have faith in humanity. If we lose faith in humanity, then we are doomed, for humanity is an actual limb of our body. Since we are spiritual seekers, we have to have more faith than an ordinary human being has. We have to have faith even in unaspiring persons although we are not going to try right now to transform their nature. Why? Because we do not have the necessary capacity, or because it is not God’s Will. Even if we do not have the necessary capacity, God can give us the capacity. He can make us strong so that we can help humanity. But that is not God’s Will. God’s Will is for us to help those who are already awakened to some extent, those who are aspiring or who want to aspire, but not those who are fast asleep. God does not want to push them. To them God says, “Sleep, My child, sleep.” But to those who are already awakened and who want to run, God says, “Have faith in My creation which is humanity and have faith in yourself, for it is you who are ultimately going to represent Me on earth.” We have to have faith in ourselves in order to realise and fulfil God. We have to have faith in God because it is He who has inspired us and awakened us and who is going to fulfil us in His own Way. If God wants you, open your eyes, close your ears and run. We have to be fully awakened and alert; we have to stop living in the world of sleep before we can find God. We must look all around, not to see the ugliness of the world, but to see the creation in its purest form with our purest eyes. Open your eyes. We must sleep no longer! We must look at the world with the purity that we have and see the purity in God’s creation. Close your ears. Why have we to close our ears? Because there are things we may hear that will bother and disturb us, such as criticism, jealousy, flattery and praise. When somebody criticises us, how should we regard him? We should think of him as a dog barking right in front of us. If a dog barks right in front of us and we pay attention to it, the dog will not stop barking and annoying us. Then we will have difficulty in reaching our destined goal. We have to take criticism in the same way. People criticise us in every way. They say, “He is useless. He spends all his time meditating and he does not help society the way society needs help.” But what does society want? Society itself does not even know. Nobody can tell us what to do with our life. When we are ready for God, when we are awakened and have opened our eyes, God wants us. At that time we don’t have to pay attention to anybody’s criticism. We have to know that what we are doing is best. It is best even for those who are criticising us, because a day will come when they will give up their ignorance and be inspired to follow us. Pop culture is disposable culture, so if we view the world solely through the eyes of pop culture, it will be an ever-changing kaleidoscope with no clear vision. Spiritual wisdom is enduring, lasting. It gradually reveals a vast panorama of truth, the truth of how things really are and how everything fits together. This truth does not last for five minutes, or five hours, or five days, but is an eternal truth. Let us meditate on these wise words: “What does society want? Society itself does not even know.” Society knows that it is dissatisfied, but it does not have a clear vision on how to proceed. Therefore, we need to go on the hero’s journey and bring back wisdom which will eventually help transform society. Interviewer: What is the purpose of your Peace Concert? Sri Chinmoy: There is only one purpose: I try to be of service to mankind. When thousands of people gather together, I feel that we are working together. I am not the only one who serves. The people who come to listen to my music or to join me in praying are also doing something most significant. We are all trying to bring about world peace. It is teamwork. Interviewer: So, everybody resonates peace together? Sri Chinmoy: We are all working together. It is not that I am going to give peace to others — far from it! We shall work together. We are all in a boat sailing together towards the destination, which we call the Golden Shore. Interviewer: What can somebody who comes to the concert expect to experience? Sri Chinmoy: It is my prayer that they will get inspiration in abundant measure. Then, the following morning, they will be inspired to do something better in their life. My sole purpose in giving these Peace Concerts is to be of inspiration to others. Interviewer: Why have you chosen in this lifetime to be a teacher and leader of peace? Sri Chinmoy: I have not chosen to be a leader and I never declare myself a teacher of peace. I am a student of peace. I have been telling the whole world that I am a student of peace. I go everywhere to learn, and while I am learning, people feel that I am giving something. In the process of learning, we feel that the teacher and student give something to each other. While the student is learning, the teacher also learns something from the student. Interviewer: What would you like everyone to know about himself or herself? Sri Chinmoy: That they embody God, they embody Truth, they embody Light. Each individual should feel that he or she embodies God: God’s Divinity, God’s Eternity, God’s Immortality. Some will say there is no bridge between the political and the spiritual, that they are at daggers drawn. But Sri Chinmoy clearly identifies that in the person of Mahatma Gandhi, the political and the spiritual were united by a deeper vision. Gandhian principles of non-violence came to inform many successful political movements which achieved lasting change. Therefore, let us not doubt that spiritual wisdom can be a powerful force for guiding and inspiring political change. Spiritual wisdom can bring a certain gentleness and loving kindness without which political movements fail to reach the hearts of those whose help is needed in order to achieve change. Will be flooded with peace. Interviewer: Do you feel that there is a growing peace on the planet? 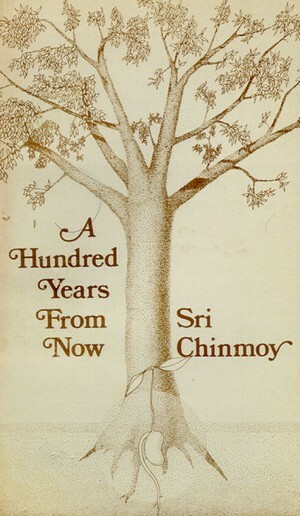 Sri Chinmoy: Definitely, definitely! Over the years, I have observed that peace is growing. I have been here in the Western world for 36 years. Previously I saw dozens of times that peace was only talk. We were only talking and talking about peace. Now people are praying to have peace in the depths of their heart. Talking has now given way to experience. In many parts of the world, people are experiencing peace. So the world has made tremendous improvement! Of course, we cannot say that in today’s world there is no conflict, there is no fight, there is no confusion. There is conflict, but in comparison, it is less. Previously we were afraid that there would be a Third World War. Now, we do not foresee that possibility. The First World War destroyed us and the Second World war destroyed us, but we do not see any possibility of a Third World War. There is mutual compromise, and this is a sign that people want peace. Otherwise there could have been a Third World War by this time. The great scientists who administer the Doomsday Clock make serious points in their analysis which should not be discounted lightly. But I think their training does not incline them to factor in God’s Compassion. I do not believe God will allow this world to be utterly destroyed. I agree with Sri Chinmoy that the trend is toward peace, even if that fragile peace is often threatened by rambunctious leaders. We can take comfort in his words at a time of fear and uncertainty, for he was truly a man of vision whose peace studies led him far beyond what most of us have seen or experienced. To learn from such a man of peace is well, good, and proper, for peace is not something we can always get from dry books, or from a crowd chanting noisy slogans. Peace is something which may be transmitted in silence from one who embodies peace to one who is crying for peace. Still, you have to admit that with artists like these who are commercially viable, the Trump plan to end arts funding should have no meaningful impact on cultural life in America. But seriously, folks… Judging by Joshua Bright’s lead photo for a New York Times piece on “Who Is Performing at Donald Trump’s Inauguration?” we may be headed for an era of crypto-Aryan art not unlike Germany in the early thirties. Bright’s pic of The Rockettes kicking their heels in front of a fantasy backdrop sporting a flower-bedecked Statue of Liberty seems more satire than reality, evoking a “Springtime For Hitler” meme. 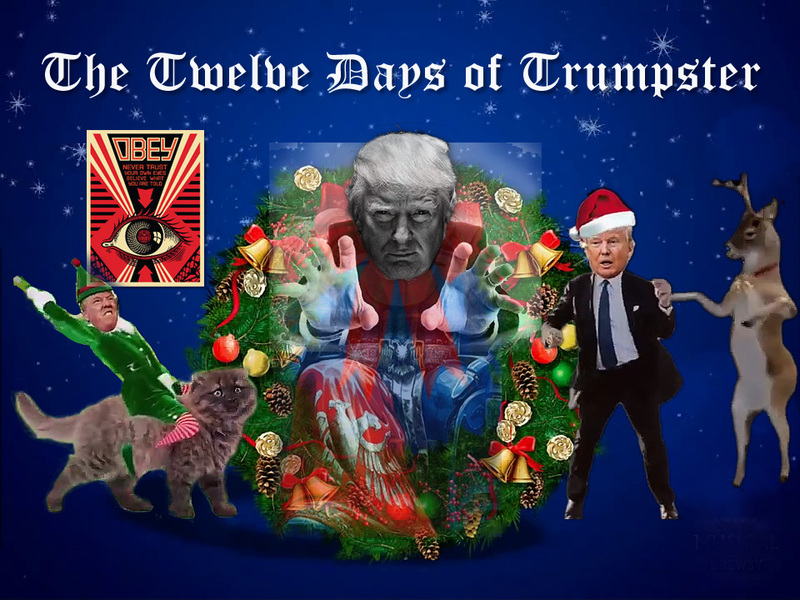 Trumpsters, go into your dance! We ask a special blessing upon our new president, Donald Trump. Give him an understanding heart to discern between good and evil. May he be strengthened in his work and grow in understanding as he proves ever attentive to the American people. We pray that he might become his best self. I would like to be constructive and prayerful in response to the present day situation, but sometimes find it difficult. It’s 720p, so if you click on the embedded video’s title bar (upper left), you can watch it on YouTube and choose 720p full screen. For more about the inspiration behind the song and its meaning, please see “Gratitude to President Obama.” If you sing this song in a big space like a cathedral, you’ll notice the echo effect when you get to the Grand Canyon part. 😉 This song is not so funky and poppish, but is better suited to a church choir. Try singing it in rounds! The versions of these tools used were fairly ancient, running on an old Pentium 4 single-core computer with Windows XP. The introduction, where you see a quick montage of painterly images, is based on using Dynamic Auto Painter to create variations. The final image in that sequence is a composite done in Photoshop which combines parts from different versions, plus a snippet of sheet music. The still images were then brought into Video Studio and crossfaded. I’m a big fan of gestural brushstrokes, so if you open this image in a new tab and view it full screen, you’ll see lots of details that otherwise might pass you by. 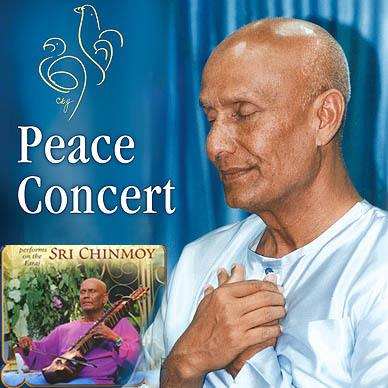 Brushing aside all that technology, the core inspiration for the song was Sri Chinmoy, who wrote thousands upon thousands of songs, many of them honouring the people he knew or met, great or small, from many nations, of different beliefs, but often sharing a longing for world harmony. Today I found myself mourning the loss of Barack Obama as our President and Commander-in-Chief. It was not an intellectual experience, but an emotional one. As he spoke a farewell address to our military, I found myself recalling how many times I had been moved by this man’s great decency. As an American, I feel deeply grateful to him for eight years of service in which he played the difficult role of President with utmost honesty, dignity, concern, respect for the office, and respect for the American people. A President, aside from his many practical duties, is also like a guardian angel for the nation. If he is kind and just, we feel protected. If he moves gracefully through the world, our nation feels at ease with the world. I can never thank Barack Obama enough for the quality of personhood he brought to the office. He was a President that every American could be proud of, and I pray that he will remain active on the world scene. His presence is needed now more than ever. At the same time that I feel tremendous gratitude to Barack Obama, I confess that I feel some fear for the future, as if a benign presence were being withdrawn. When it is a question of character, intelligence, scholarship, humanity, and empathy, Barack Obama is a rare example of the best in American political leadership. We were lucky and blessed to get him for eight years, and I fear that we shall soon miss him more than we can ever imagine. May God bless his soul a thousand thousand times for being a courageous man and good-hearted. Among a small circle of friends, I am known for sometimes writing poems or songs in the style of a man to whom I owe my life: the late Sri Chinmoy — the great and good spiritual Master who made America his home, and lived the better part of his life here until his death in 2007. He would have been so overjoyed and proud to see America elect its first black president. Today, I would like to share with you a song I wrote about Barack Obama eight years ago when he was first elected. You can read the words below, and if you click on the PDF file, you can see the sheet music. 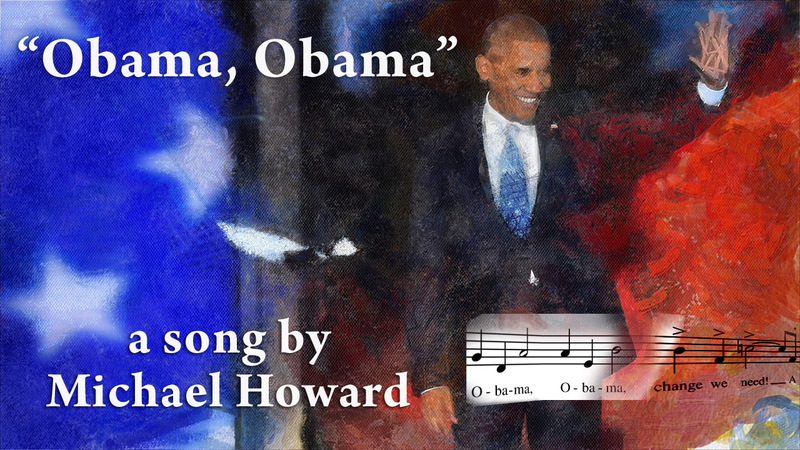 “Obama, Obama” sheet music here (PDF). What is drama if not conflict? And what is the opposite of conflict? Oneness. So when I say of President Obama that he is “always a oneness-satisfaction-sky,” I mean that he gets satisfaction not from conflict but from oneness. He is far above other leaders in this respect. He is in the sky, while they are perhaps fighting in the dirt. The line “A new soul flowing through America’s Grand Canyon” has special significance. Here, “soul” is meant in both the spiritual sense and the African-American sense, and “Grand Canyon” signifies not just the physical landmark, but the grand canyon which has so long divided rich and poor, white and black in America. So the broader meaning is: a new person, a new soulfulness, and a new quality of black soul flowing through the old divide, bringing people together. It is oft said that if you visit a black church in America, you’ll see three pictures: Jesus Christ, Martin Luther King Jr., and Barack Obama. There are pop artists who’ve written songs about Barack, but those songs don’t always reflect the spiritual element which is so important. It’s my hope and dream that someday a congregation will sing this song for him, and that his qualities of oneness, soulfulness, and inner poise will be recognized as the qualities of a Godly man. I’m rooted in the Christian tradition. I believe that there are many paths to the same place, and that is a belief that there is a higher power, a belief that we are connected as a people. That there are values that transcend race or culture, that move us forward, and there’s an obligation for all of us individually as well as collectively to take responsibility to make those values lived. I find it hard to believe that my God would consign four-fifths of the world to hell. I can’t imagine that my God would allow some little Hindu kid in India who never interacts with the Christian faith to somehow burn for all eternity. That’s just not part of my religious makeup. Part of the reason I think it’s always difficult for public figures to talk about this is that the nature of politics is that you want to have everybody like you and project the best possible traits onto you. Often times that’s by being as vague as possible, or appealing to the lowest common denominators. The more specific and detailed you are on issues as personal and fundamental as your faith, the more potentially dangerous it is. I think that each of us when we walk into our church or mosque or synagogue are interpreting that experience in different ways, are reading scriptures in different ways and are arriving at our own understanding at different ways and in different phases. When I tuck in my daughters at night and I feel like I’ve been a good father to them, and I see in them that I am transferring values that I got from my mother and that they’re kind people and that they’re honest people, and they’re curious people, that’s a little piece of heaven. I think Gandhi is a great example of a profoundly spiritual man who acted and risked everything on behalf of those values but never slipped into intolerance or dogma. He seemed to always maintain an air of doubt about him. I think Dr. King, and Lincoln. Those three are good examples for me of people who applied their faith to a larger canvas without allowing that faith to metastasize into something that is hurtful. — Barack Obama on faith, from a 2004 interview conducted by Cathleen Falsani. Sing the Obama song, it’s fun! I just created a permanent help page with lots of tips on getting Flash videos to play in WordPress. This is aimed at readers who don’t always know how to play the videos embedded in blog posts. I’ve tried to find a good balance between providing essential information about an increasingly complex subject (getting Flash videos to play), and making it easy to digest by breaking it up into subtopics. It could just be me, but it seems as though the world is going through a particularly turbulent time. Without recounting all the sad and inhumane incidents from recent weeks (and an airport shooting just today), let me say that I feel it. I feel as though misunderstanding, hatred, killing, and warfare are running riot. It pains my heart to see such unrelenting human misery. To pray for peace is something we can all do. Just before the commencement of a great battle in which many men might be destroyed, Lincoln stooped to pick up a small insect which had landed on the battlefield, and carried it to safety. “Will anyone really feel better just because you saved that small bug?” someone asked Lincoln. “No, but I feel better,” Lincoln replied. If our prayer for peace is powerful enough it can change the world. But even if the world remains the same, our prayer for peace can help put us in tune with peace, and bring us a little peace in a world filled with big, bigger, biggest troubles. Right now fear, doubt, anxiety, tension and disharmony are reigning supreme. But there shall come a time when this world of ours will be flooded with peace. Who is going to bring about this radical change? It will be you — you and your sisters and brothers — who will spread peace throughout the length and breadth of the world. Pope Francis’s traditional Christmas day message repeated the word ‘peace’ over 20 times. Some commentators seemed puzzled by this, but I found it quite natural for one who was invoking peace.